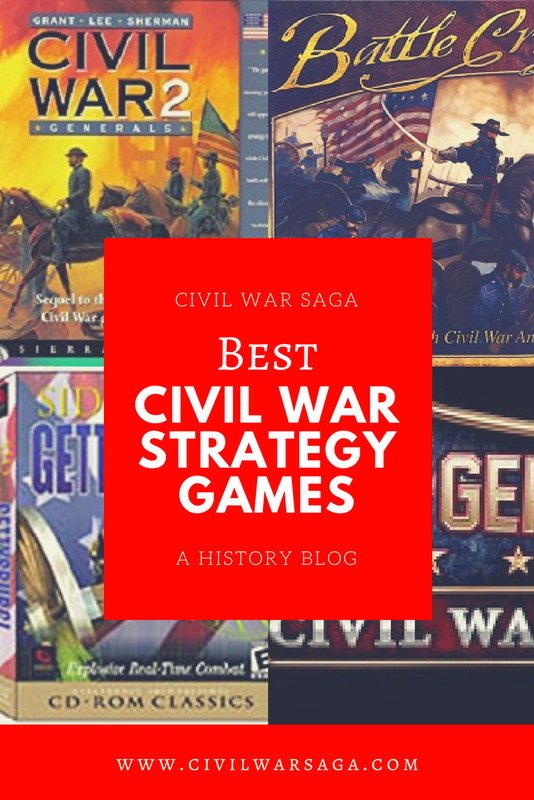 Civil War buffs who like video games will love these Civil War strategy games. These games incorporate the various strategies used in the Civil War to allow you to recreate these historic battles and events yourself. There have been a number of strategy games released over the years so to help you decide which ones to play, I’ve created this list of the best games available. The list includes video games as well as board games and card games. The games on this list are best-sellers in their category and have great reviews on sites like Amazon, Game Board Geek and Gamer Pros. Released in 2016, this real-time strategy game is one of the most popular Civil War video games around. The game, which is a sequel to its predecessor Ultimate General: Gettysburg, is a tactical simulator that puts you in full control of an army. The game allows you to play as a Union or Confederate general commanding your troops through various battles, conflicts and side missions. The core of the game is about commanding infantry brigades, keeping up morale, flanking and maneuvering. This is important because lost troops and low morale carry over between conflicts, much like in a real war, and will determine the outcome of the war so planning and strategy are everything in this game. The game allows you to control the smallest of details, if you want, such as choosing the type of guns, appointing commanders and naming units. You can command each unit individually or you can simply assign a primary goal and see what happens as a result. A review on the Gamer pros website compared the game to a table-top game with toy soldiers moving around on a terrain map. Released in 1997, this turn-based strategy video game, which is a sequel to Robert E Lee: Civil War General, allows you to recreate historic battles and/or play a full campaign where casualties and experience carry over to the next battle. The game includes over forty battles and allows you to play either as Union forces or Confederate forces. The game features a scenario editor that allows you to alter existing battlefields or create new ones based on real Civil War maps or your own imagination. It also offers a variety of unit types, such as gunboats, mortars, frigates, engineers and horse and heavy artillery, and terrain types such as walls, forts, swamps, water, coastline and major roads. The game allows for up to five players. 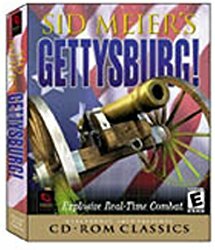 Released in 1998, this real-time strategy video game recreates the famous three-day Civil War battle. The game allows you to play on either the Union or the Confederate side and allows you to take part in either a single scenario or an entire campaign within the battle. Campaigns typically consist of seven scenarios that are dynamically strung together based on your performance in the battle. In all, the game includes 25 pre-designed scenarios along with a random scenario option. In addition, no two campaigns unfold in exactly the same way. The scenarios are available in both single-player and multi-player mode, but the game does not include a scenario editor. Released in 2006, this real-time strategy video game features 48 scenarios during three battles with 2nd Manassas being one of them. The game also features several “what if” scenarios. The game gives you a realistic real-time strategy experience by giving you command of just a small part of the army through either a brigade commander or army commander. The other brigades and armies on the field are commanded by friendly AI. The game has large battlefield maps and 1000s of troops such as infantry, cavalry, artillery and etc. 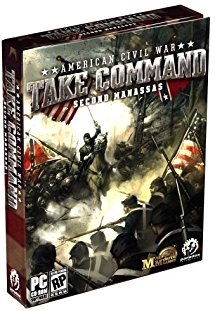 Released in 2015, this 2-player strategy board game by GMT game is one of the best-selling and highly rated Civil War board games available. The game covers the span of the entire war from 1861 to 1865 on a large 30″ x 44″ map area of the Southeastern United States. Each turn represents three months during the winter and two months during the summer, with four Action Phases to each turn. 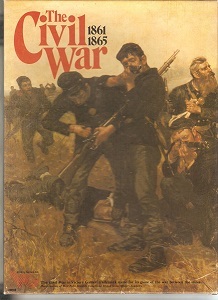 There are also shorter scenarios included that cover 1861, 1862 and 1863. The game was runner up for the Golden Geek 2015 Wargame award and the Heavy Cardboard 2015 Golden Elephant award. The U.S. Civil War has a 150-360 minute playing time. 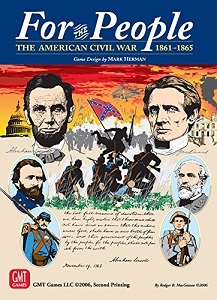 Released in 2013, this 2-4 player strategy board game by Mercury Games is a simulation of the largest battle in the Civil War. The game uses a diceless and cardless system for governing movement and resolving combat. Military units in the game are represented by linear blocks instead of the traditional hex and counters which gives the game an appearance of a 19th century battlefield map. The game was nominated for the 2013 Golden Geek Best Wargame award and the Golden Geek Best 2-Player Board Game award. 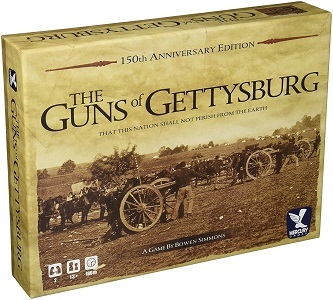 Guns of Gettysburg is designed for ages 13 and up and has a 180 minute playing time. 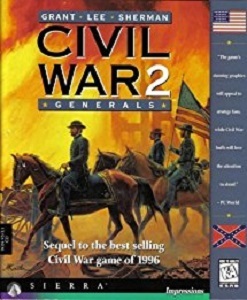 Released in 1998, this 1-2 player strategy card game by GMT covers the span of the entire war and allows you to play either President Lincoln or President Davis to command troops, manage generals, conduct assaults and raids and even combat political intrigue among members of your cabinet. The Confederate and the Union sides can each do different things. Confederate players can build ironclads and submarines, conduct overseas purchases and try to secure foreign intervention. Union players can build up their naval blockade, fight draft riots, secure the border states and issue the Proclamation of Emancipation. The game allows you to play four yearly strategies plus a grand campaign. Each turn represents four months. The game has a rating of 7.7 on Boardgamegeek.com where it is ranked 49 in the War Games category and has a five star rating on Amazon. For the People is designed for ages 12 and up and has a playing time of 360 minutes. 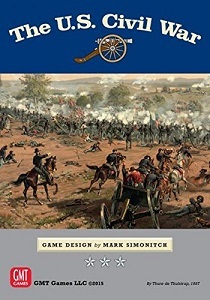 Released in 2010, this 2-player strategy board game by Wizards of the Coast allows you to command generals, infantry, cavalry and artillery in 30 different scenarios that feature the terrain and troop development of each historical battle, from the First Bull Run to Gettysburg. The game has a rating of 7.6 on Boardgamegeek.com and is ranked 80 in the War Games category. The game also has great reviews on Amazon with a 4.5 star rating. Many reviewers noted how easy the game is to understand. 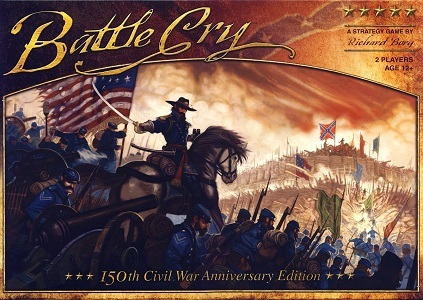 Battle Cry: 150th Anniversary Edition is designed for ages 12 and up and has a playing time of 45 minutes. Released in 1983, this 2-player strategy board game by Victory Games is a sprawling, large scale game that covers everything from General Grant and General Lee to Indian raids in the Western territories and includes both land and naval warfare. The game has five turns per year, four of which are two months long and one is a four month winter turn. Each turn consists of an indefinite number of “pulses” and can last a long time. Playing time is two hours for a short scenario and 20 hours for a long scenario. The Mapscale is 25 miles per hex. The game has a rating of 7.7 on Boardgamegeek.com and is ranked 58 in the War Games category. The game also has a five star rating on Amazon although it doesn’t have many reviews. The Civil War is designed for ages 12 and up.